For 13 years Nick has helped shape R/GA’s strategic and creative vision; a vision that continues to evolve but stays true to its legacy of combining world-class creativity and breakthrough technology. As global CCO he leads an increasingly diverse group of creatives that include designers, copywriters, interaction designers and creative technologists. From these disciplines he curates and choreographs teams that collaborate on a variety of work, from mobile applications to TV spots and everything in between. 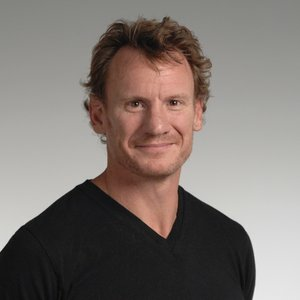 Since joining R/GA in 2001, Nick has worked with clients such as Nike, Beats by Dre, Samsung, HBO, Johnson and Johnson, IBM, L’Oreal and Google. In that time R/GA has been one of the most awarded agencies in the world, winning every major creative award including a Black D&AD pencil for the Nike+ website in 2007, a GRANDY and 4 Cannes Lion Grand Prix. Adweek named R/GA Digital Agency of the decade and Nike Plus as campaign of the decade.